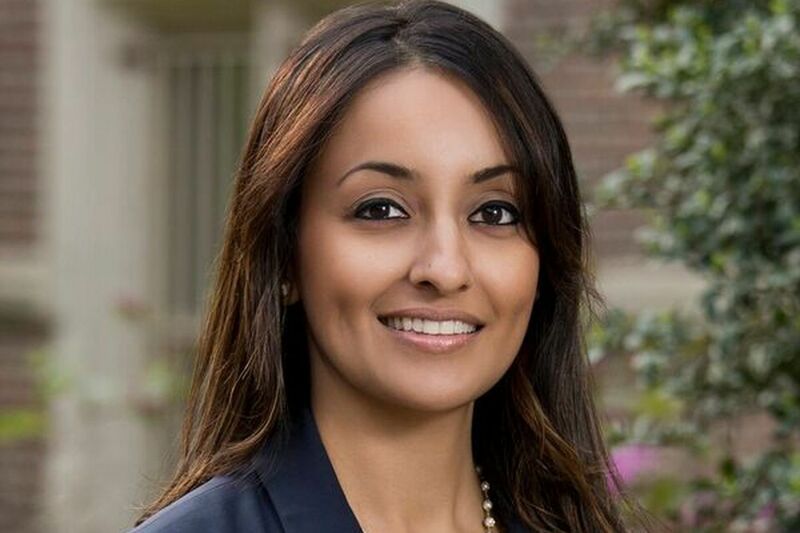 Zarina S. Ali is a neurosurgeon at Penn Medicine. A comprehensive program designed to improve the quality of care for spine and peripheral nerve surgery patients reduced patients' opioid use at one month after surgery without increasing pain, researchers from Penn Medicine reported. The protocol — spanning the periods before, during, and after surgery — virtually did away with pain pumps, devices that allow patients to dose themselves with morphine after surgery. As opioid addiction has reached crisis proportions, surgeons in a variety of fields have worked to reduce the need for opioids after procedures, in the hope that fewer patients would become dependent on or addicted to pain pills. The new program also got patients up and moving more quickly and more often than they had in the past at Pennsylvania Hospital, where the study took place. Physician prescribing is under increased scrutiny from private and government insurers as well as law enforcement entities, a trend that has spurred pushback from chronic pain patients already accustomed to high doses. Pain management programs can start even before surgery with medications and regional treatments that reduce pain later. Combinations of drugs that attack pain from different angles can let opioids play a smaller role. Penn’s approach has much in common with protocols used by others, Ali said, but is the first comprehensive “enhanced recovery after surgery” (ERAS) program for neurosurgery. Pain control is a focus, but surgical teams are also paying more attentions to such conditions as diabetes, sleep apnea, and smoking that can increase the odds of complications. Better patient education, nutrition information, and text reminders are part of the protocol, as are Gatorade and chewing gum. Carbohydrate-laden sports drinks reduce the stress of fasting before surgery and are now routinely included in pre-op instructions, Ali said. Patients are given a pack of gum after surgery because chewing is believed to trigger bowel movement. Constipation and bowel blockages are a risk after surgery, particularly when patients are taking opioids. About 75 percent of Penn Medicine spine surgery patients are not taking opioids before surgery. Those are the people in whom Ali most wants to avoid drug dependence. Previous studies have shown that up to 7 percent of “opioid-naive” spine patients are still taking opioids a year after surgery. For the study, Ali’s team compared 74 patients who underwent traditional spine surgery in 2016 with 201 similar patients in the ERAS protocol who had surgery between April and June 2017. The biggest change was that the 2017 patients were not offered 24-hour pain pumps, which can deliver 1 mg of morphine every 10 minutes. Less than 1 percent of the 2017 patients used pain pumps, compared with 54.1 percent of the 2016 group. Instead, they were put on Tylenol, steroids, and muscle relaxers. They were offered opioids only as needed. Patients were also given a dose of the nerve-pain medicine gabapentin before surgery, a step known to reduce postsurgical pain, and surgeons injected a local painkiller when they stitched up. A month after surgery, 38.8 percent of patients following the new rules were taking opioids compared with 52.7 percent of the 2016 patients. Yet their pain levels were about the same. “The last thing I wanted to do was change how we were treating pain and have people in a ton of pain,” Ali said. She does not imagine a day when surgical patients can forgo opioids.